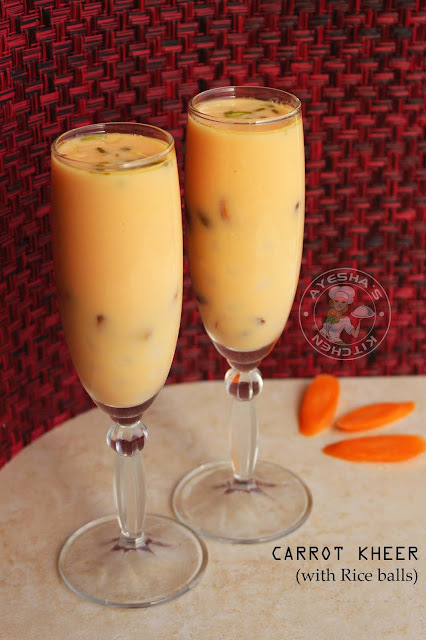 Carrot is such a versatile vegetable which tastes delicious when added to savory dishes and heavenly good for desserts. 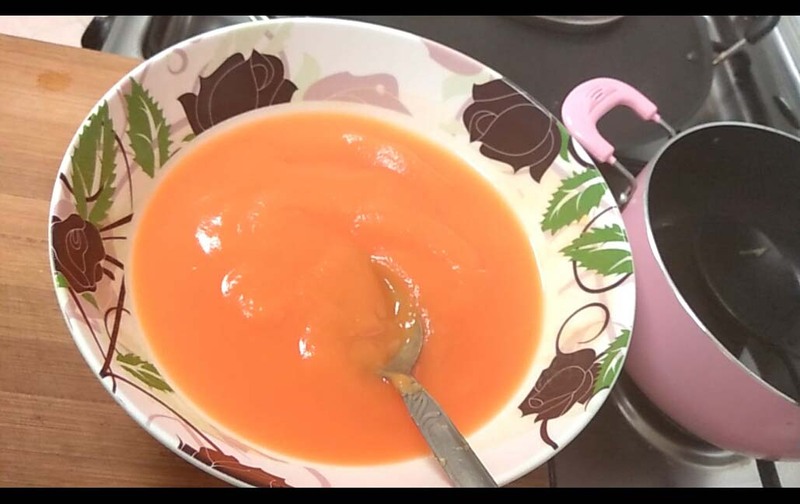 Carrot pudding is my favorite dessert which i often make at home for my kids. 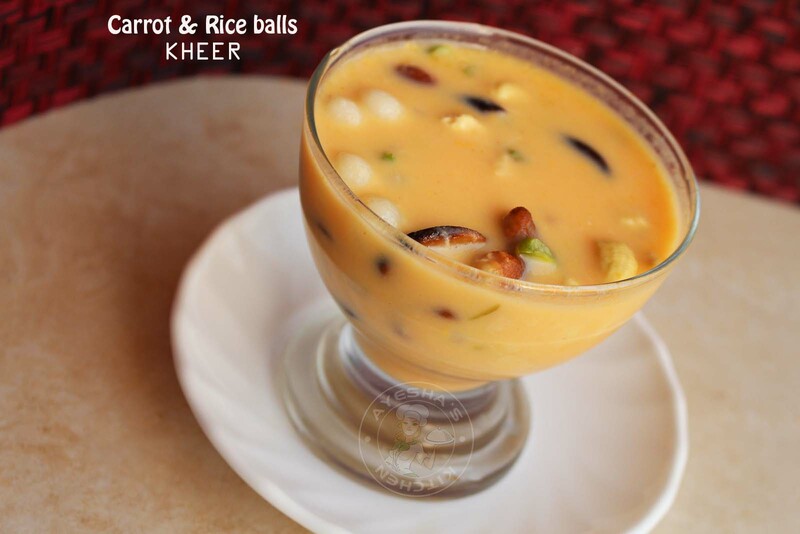 If you love carrot pudding, then you will love this carrot kheer with rice balls for sure. 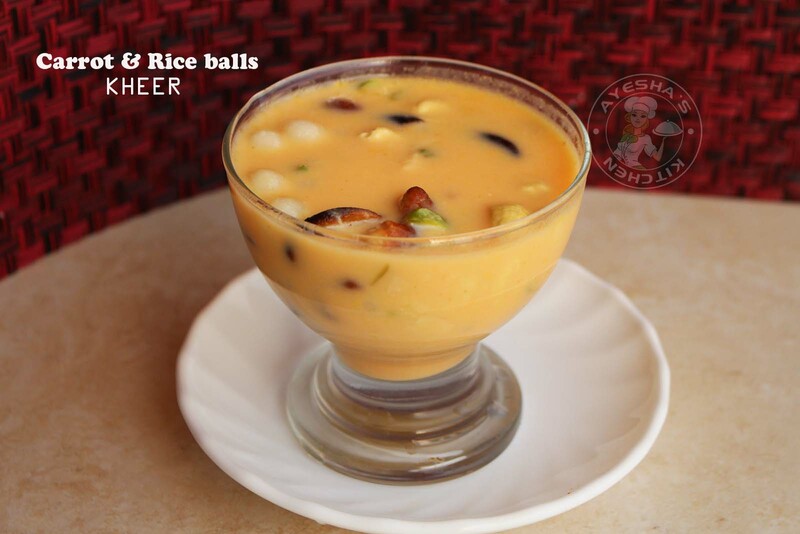 This sweet healthy dessert would be perfect for any festivals like Eid, Onam, Diwali, Christmas etc. For those who need festive desserts don't have to be complicated must try this. I make deliciously simple sweet treats with this healthy vegetable carrot. Some of my recent recipes with carrot are carrot toffee, carrot pola, carrot pudding, carrot cake, three layer pudding, carrot halwa, carrot laddoo, carrot rice, carrot pachadi or raita, carrot salad, carrot juice, carrot dosa, carrot idli like so. Each recipe is unique in taste and appearance. 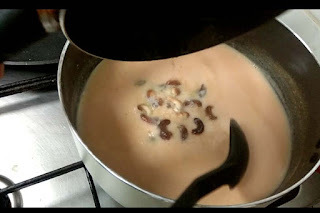 As Onam festival is around the corner, i know most of us will be googling for variety payasam recipes/ kheer recipes to make your lunch meal (onam sadhya) more delightful. Rather there will be lots of Onam competition especially payasam competition contests. So we need something new but tasty payasam recipes or kheer recipes. 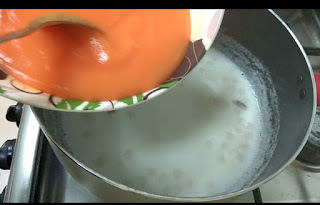 This carrot kheer is simply awesome and less mess kheer recipe. It is worth a try. For a twist, i added sweet rice balls in this kheer which gives a special taste and is very impressive in first sight itself. 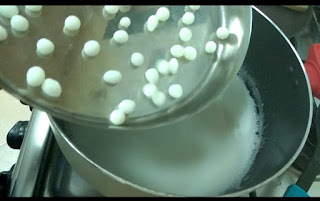 You can also add sabudana or sago seeds instead of rice balls. This kheer tastes yummier when more nuts are added. Or else you can add small coconut slices(roasted) to your kheer recipes that give an authentic touch. So let's see how to make carrot kheer with rice balls/ special payasam/ onam payasam/ kheer recipes/ special kheer with carrot/ carrot dessert recipes/ sweet treats/ party sweet treats/ party dessert recipes. 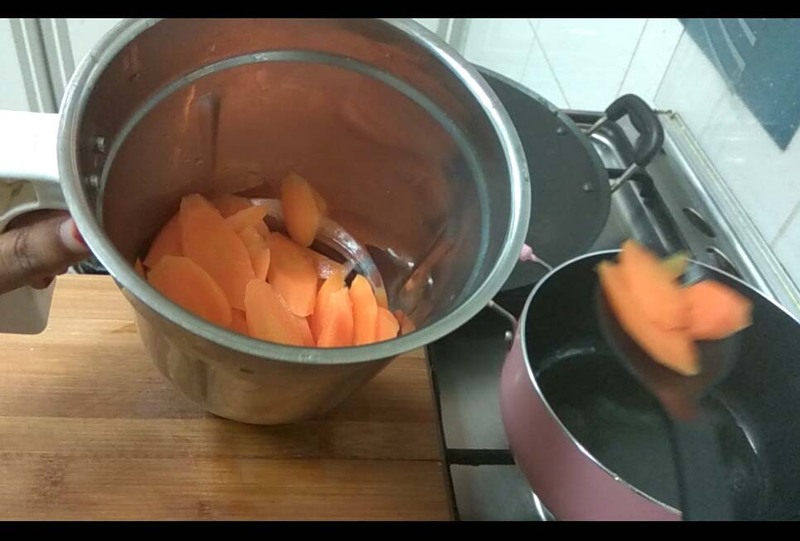 Peel the carrots, slice them thinly and then cook with half a cup of water. 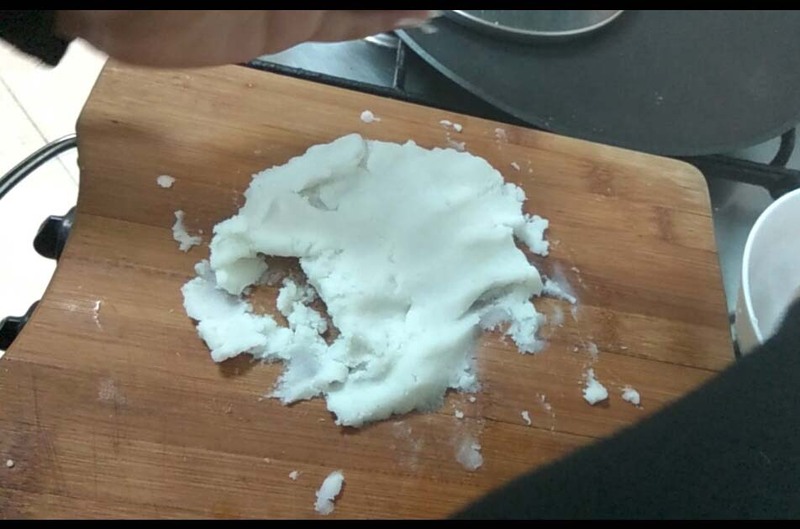 Once done, let it cool slightly and then grind it into a smooth puree along with that water. 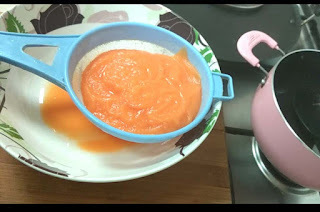 Strain this carrot puree using a strainer and set aside. You can make this ahead of time and keep refrigerated for instant use. 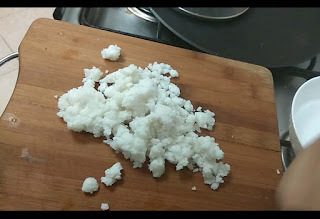 Now make rice balls. 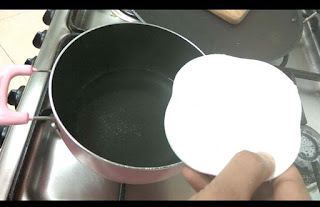 For that, boil half a cup of water in a pan (i prefer non-stick pan). Once boiled, add salt and sugar. Then make the flame to medium low. Add the rice powder slowly stirring continuously. Let it cook over a low flame for 2 minutes, with a closed lid. 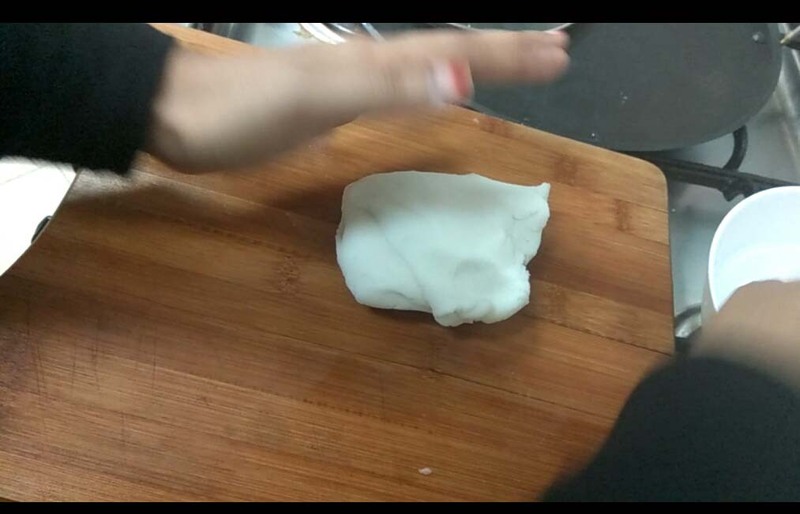 Once done, transfer it to a plate and knead them very well once it is hot (never allow it to cool down). You can wet your hand with water while kneading. You must knead them very well for few minutes. Then roll out the dough and make tiny balls. Set them aside. 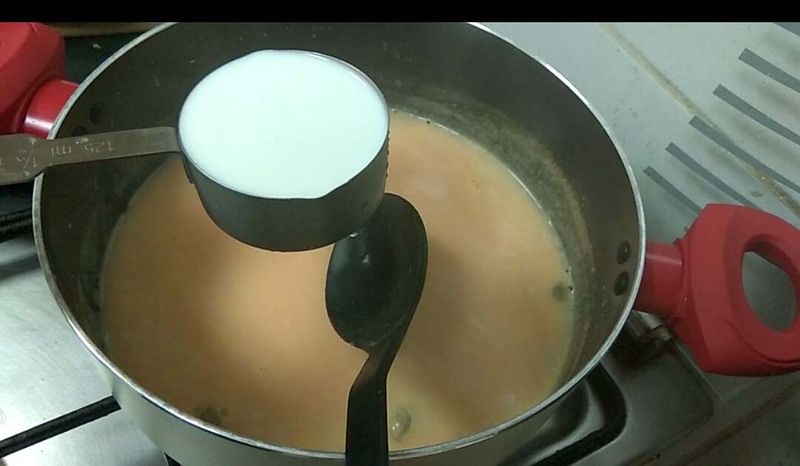 Boil one cup of milk with one cup of water. Once the milk starts boiling, add quarter a cup of sugar (can add less) and salt. Then add crushed cardamom. Stir well. 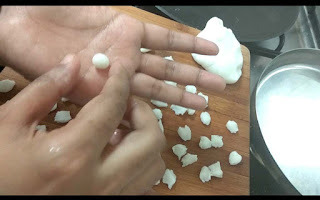 Then add the tiny rice balls to it and let it cook for 6 minutes. Then add the carrot puree along with half a cup of water (add water according to the thick ness of carrot puree, do not add more water which results in a flowing consistency). Let it cook very well. 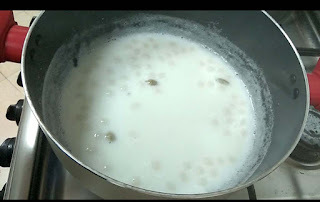 Once it starts to thick slightly, add half a cup of milk or thick coconut milk. Cook for 2 minutes and remove from flame. Heat a pan with 2 tsp of ghee. Add cashews and roast them well. 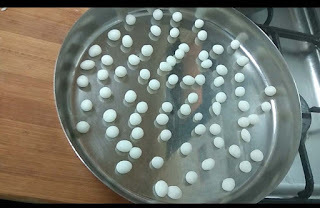 Add it over the prepared payasam or kheer. 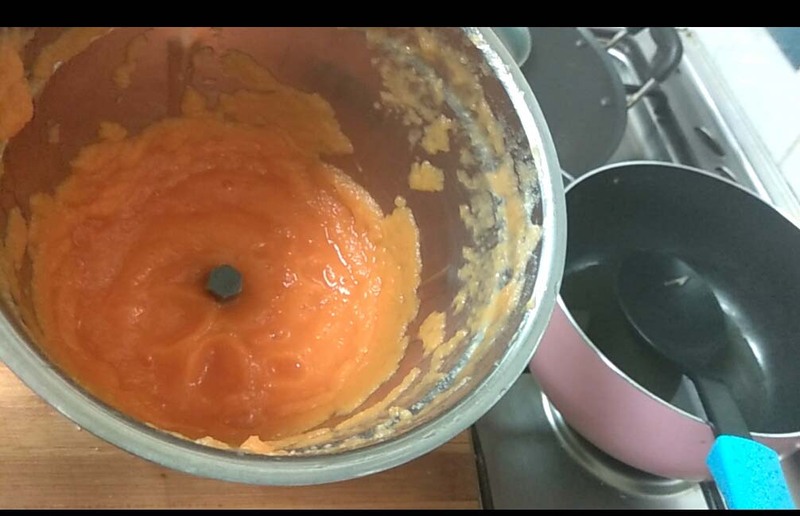 Close the lid for 10 minutes. 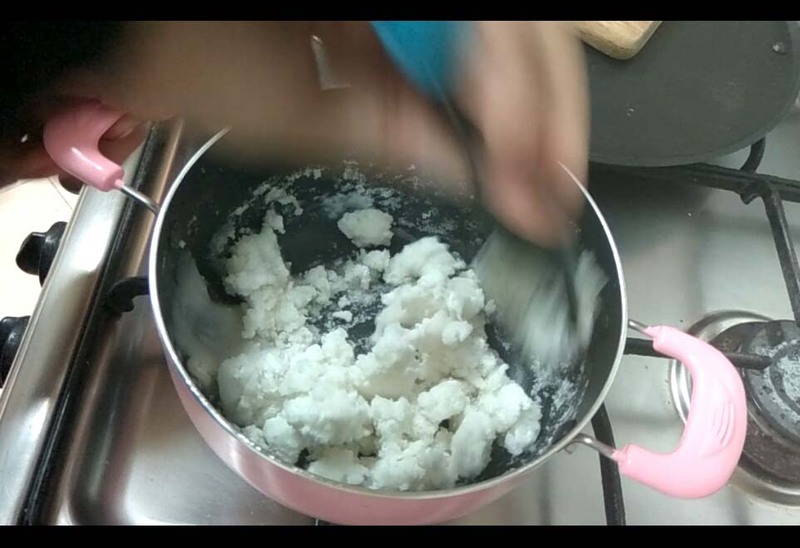 You can also add roasted coconut slices instead of nuts. (Once cooled, the kheer/ payasam will become very thick. So switch off the flame once it turns slightly thick in consistency). 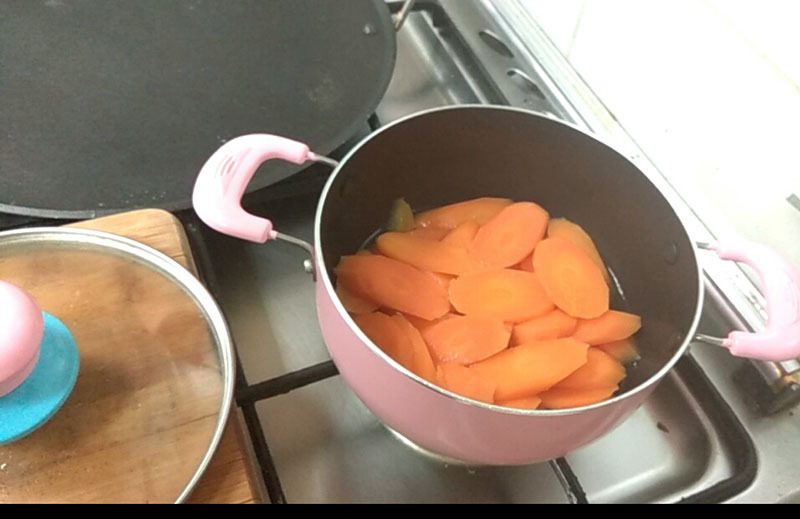 Serve piping hot. Garnish with blanched almonds and pistachios.